We want you to get the most out of our patient portal, so here you’ll find our Frequently Asked Questions and information on how to create your account on the patient portal. 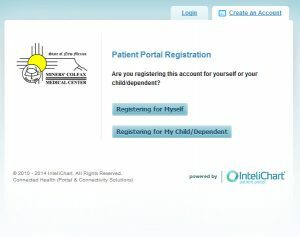 What is the MCMC Patient Portal? As an added service to our patients and customers we are proud to announce the MCMC Patient Portal! With this new system you’ll be able to view your personal health information, send messages to our facility, pre-print forms to help speed up the registration process, and even request additional information. 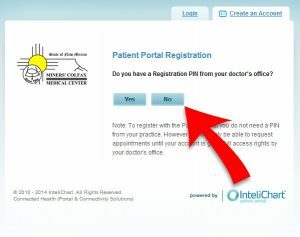 The portal provides you the ability to manage your healthcare at your convenience. This powerful tool will also provide improved communication with our medical staff. 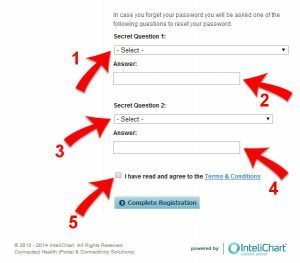 By signing up for the portal, you gain quick access to your personal information and improve communication with your healthcare provider. As additional functionality is added, you immediately gain access to those features, such as schedule appointments and request medication refills. As required by the Health Information Portability and Accountability Act (HIPAA), we are required to keep your personal information safe and secure. Your information is accessible to you and our staff and only when it is relevant to your appointment, medical treatment, or for billing purposes including insurance processing. Do I Need to Bring My Information with Me to My Appointment? If you are a new patient, it is still necessary for you to bring any insurance cards and related information to your first appointment. Once your initial visit is complete, you will only be required to provide changes to your information on file. This feature is not available at this time. We anticipate this to be available in the near future. This feature is not available at this time. We anticipate this to be available soon. What Do I Do if I Need Immediate Service? 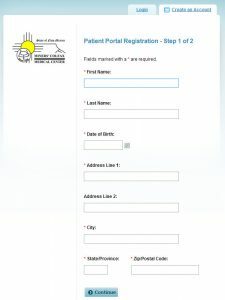 The patient portal is simply a convenience for accessing your health information. It is not intended to handle urgent or emergency situations. For important issues, proceed to the ER or call 9-1-1. A PIN is a 10 character code that speeds up your account creation process. 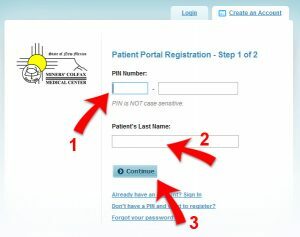 If you’ve been given a PIN during a previous visit, follow these steps to create your Patient Portal account. 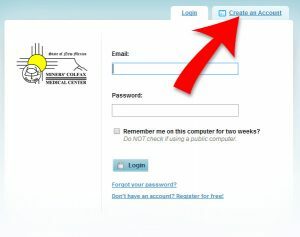 If you do not have a PIN, you can create an account following the instructions under the next section. Enter the PIN you were given. It is shown as three characters, a dash, followed by seven characters. Enter a valid email address in both the Email: and Confirm Email boxes. Complete the Secret Question entries. Choose the desired questions and type in answers to these questions. 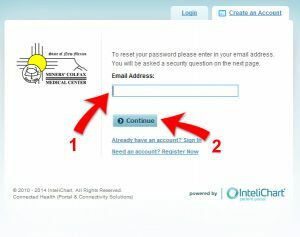 Following these steps you’ll receive an email verifying your new account. The message will contain a link to complete the registration process. When done, your Patient Portal account activation is complete. Click the Registering for Myself button to create your own account. You may register for dependent accounts only after the primary account has been completed. At this point you should see the Congratulations! 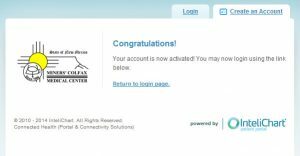 message showing that your account has been created and validated. 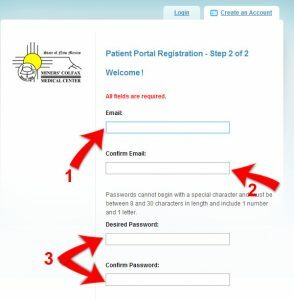 You may now log in to the patient portal. In the event that you’ve forgotten your account information, you can have it resent and sent to the email on file. Simply click the Forgot your password? link, enter your email address, and click Continue button. You will receive an email with instructions to reset your password. 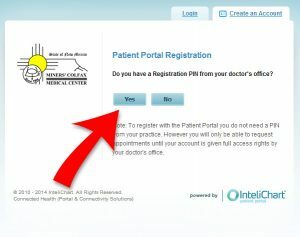 Upon completion, you can then log back into your patient portal account.